It’s women’s history month! Being a woman myself, how could I not write a piece about it. Almost every free moment I’ve had, I took a few minutes to think about the angle I would come from. Whether I’d just write about a few inspirational women or whether I’d just speak about how strong women are and encourage and inspire females. I even looked up the theme for this year, which is ‘Celebrating Women of Character, Courage, and Commitment’. I wanted to strictly come from a positive place. However, this past week alone I’ve heard such negativity between females and immediately I felt compelled to take that angle. 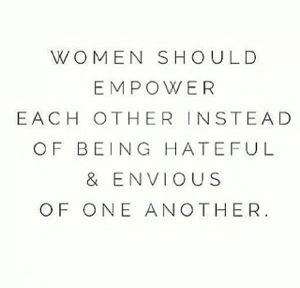 Unfortunately, there are many females who are so negative when it comes to other females. As I’ve stated this past week, I’ve witnessed it firsthand. A female who is focused on making things happen in her desired field. Little by little doors have been opening for her. As any person would, she looks for support from those closest to her. She asks another female if she came across what’s been put out there, and the other young lady’s response is surprising. She said no, because it’s just too much. She refuses to support because she thinks that it would take too much from her to do so. The first young lady finds a way to just try to accept this although she desires the support. However, every time she speaks of what she wants to accomplish, the other either speaks negatively or turns the conversation to be about her. This is not the only situation that bothered me. There are many females who rather than build other females up, chose to tear them down with their words and actions. This stems from jealousy and/or lack of confidence in oneself. Or maybe just interested in personal growth. No concern for how the next person moves or level of success they reach. Somewhat being selfish because you want to see yourself succeed. We need to learn to support one another and realize that we’re better together. 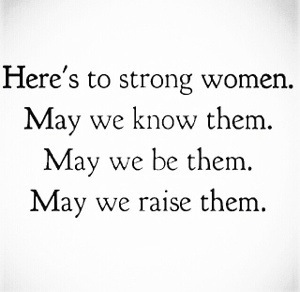 Women are strong. So let’s learn to use our strength in a positive way. Let’s be strong in pushing and empowering one another to greatness. Let us be concerned with the success of one another. Instead of being jealous, learn to celebrate the success of your sister. If she can do it, why not you. We must be women of character. Who would people say that you are? Let’s have the character of one who uplifts rather than tears down. Let’s be courageous. While you’re taking the steps toward success, be courageous enough to help fellow women succeed. Lastly, let’s commit to building one another up. 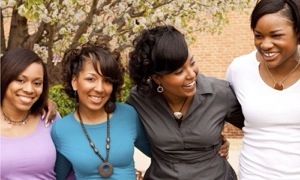 We have to be united, supporting one another in all of our endeavors.